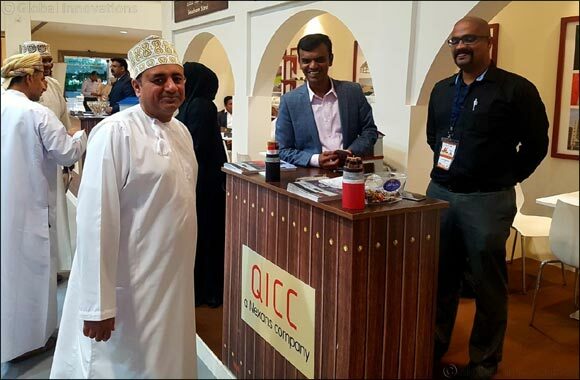 Doha - Qatar, October 10, 2018: To expand its growth and augment business ties, Qatar International Cable Company (QICC) participated at the recently held INFRA OMAN 2018, which is one of the biggest regional exhibitions for infrastructure. The event which took place at Muscat, Oman, between October 8-10, 2018, witnessed tremendous response from buyers & sellers alike. Close to 35 Qatari enterprises from the country’s industry and construction sector participated at Infra Oman in QDB hosted special pavilion, through its export development and promotion agency, Tasdeer. Qatar International Cable Company (QICC) is a NEXANS company established in Qatar in 2008 as a joint venture with Al Mirqab Capital. Its manufacturing facility in Messaied has been recently upgraded and expanded. The production range includes Low, Medium- and High Voltage power cables, control cables, Low Smoke Zero Halogen cables, fire safety cables, etc., serving infrastructure, power, oil and gas, railway and building markets in Middle East. The company intends to enter into mutually-beneficial agreements with its Omani partners, as well as other regional and international partners. Infra Oman, dubbed as one of the largest building and construction expo in the Middle East, has been continuously defining the industry’s development for the last 7 years. It is considered as the annual meeting place for industry leaders, suppliers and buyers in the Sultanate of Oman. Infra Oman has proved to be an ideal starting point not only for the local companies, but also for foreign entities that are more determined to be part of Oman’s growing market.